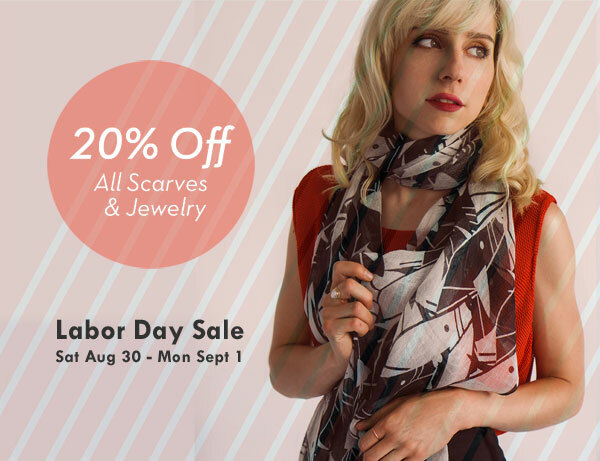 For three days only, you can save 20% on all our scarves and jewelry. Our Labor Day Sale starts this Saturday, August 30th at midnight and lasts through Monday. Save as much as $45 on a scarf – shop all cashmere scarves now! Save as much as $80 on a piece of jewelry – shop all handmade jewelry now!